A new baby has arrived at Henry's house. Grandma says 'here's trouble'. Big sister Josie can't wait for a cuddle but Henry is not so sure. Everyone wants to kiss the baby. Henry tells Grandma he doesn't like kisses. When Grandma leaves (which makes Henry sad), the baby cries until bathtime. Henry splashes like a turtle but Mum says to stop. Grandma calls. 'Trouble?' she asks Henry. The rain comes down and Mum is too busy with the baby to rescue Henry's dinosaur pyjamas from the washing line. Poor Henry has to wear Jodie's pink hand-me-downs. He roars in the dark in his room ... but no one hears. This is a sensitively-written, poignant story about the enormous transition kids go through when a new baby comes home. The noise, the attention refocus, the feelings of inadequacy and distance and 'loss'. 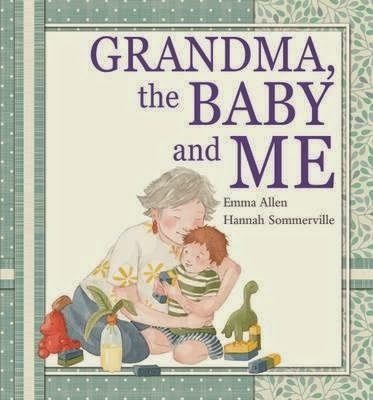 Both kids and adults will relate deeply with little Henry and with the special link he has with Grandma, who--quite simply--understands. Gentle watercolour illustrations are the perfect complement to an emotive, heartfelt storyline so many children experience.